Glutenfree flours – why and which? I’m not celiac but might be sensitive to gluten. Refined flour in bread and pasties seems to make me sleepy even on climbing trips. Spelt flour’s better but still a bit heavy so I tried glutenfree options and (‘eureka! !’) felt lighter and healthier! But which kind gives the best results? My own blends were ‘passable’ (pretty so-so) but it’s not practical to store a variety of 5 or 6 flours in humid barcelona where their shelf life is 2 to 4 weeks. So I tried shop-bought ready-blended; the one in the local supermarket produced pale and stodgy results like plaster of paris so after reading online reviews I bought Doves Farm plain and self-raising gf flours. Perfect! I prefer the self-raising – the xantham gum and raising agents seem to promote a nice texture so I’m also using it for pastry where baking powder’s called for. The blend is: rice, potato, tapioca, maize and buckwheat flours. And it works for all kinds of sponges and biscuits, like these crackers! 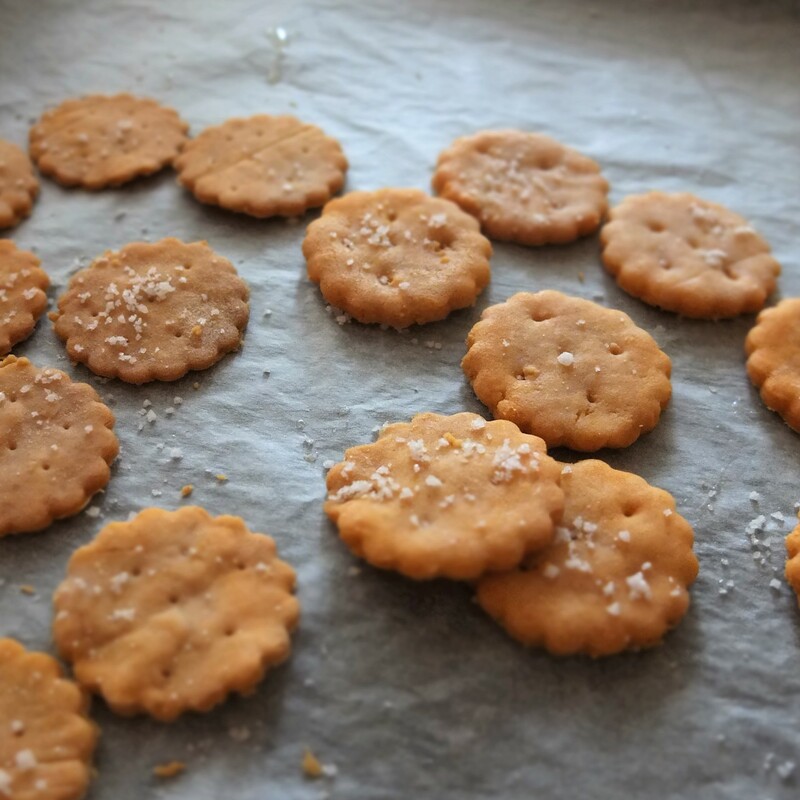 You can use a teaspoon of standard sweet paprika for yummy slightly orange crackers! Spicy sweet paprika (like the Spanish La Vera brand) will blow your tastebuds with wonderful flavour but a half teaspoon is enough. Adapt quantities to your tastebuds and type of paprika. My next batch will be with my new smoked medium spicy paprika! Yes, I now have an impressive paprika collection! 🙂 All suggestions for baking with paprika are welcomed. The La Vera crackers were also vegan. My vegan olive oil butter’s soft so I creamed it then stirred in the flour (no grating or rubbing in). 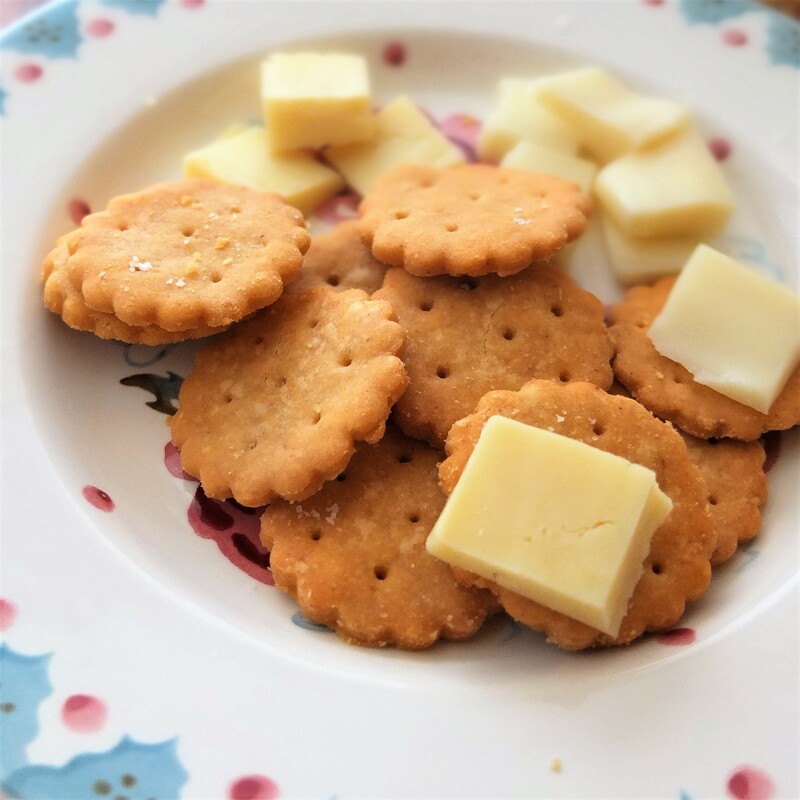 The crackers were nice but not as light or buttery – you could find firm vegan butter and try the rubbing in method. For slightly flaky lighter biscuits I eventually replaced some flour with cornflour and made sure they didn’t overbake and dry out too much. If they’re 2 to 3 mm they can puff a little more. Thinner ones like the ones on the left in the photo are crisper especially if baked till browner. Apparently glutenfree flours soak in more liquid so with standard all-purpose flour you may need less water. With another brand of gf flour or your own blend you could also need more or less water than stated. So please be flexible. The good news is I varied the amounts of water each time and the crackers were always yummy. The important thing is not adding too much flour. My best crackers came from a softer dough that was a slight struggle to roll out and move to the baking tray (it’ll be easier in winter when the butter stays firmer in my kitchen). 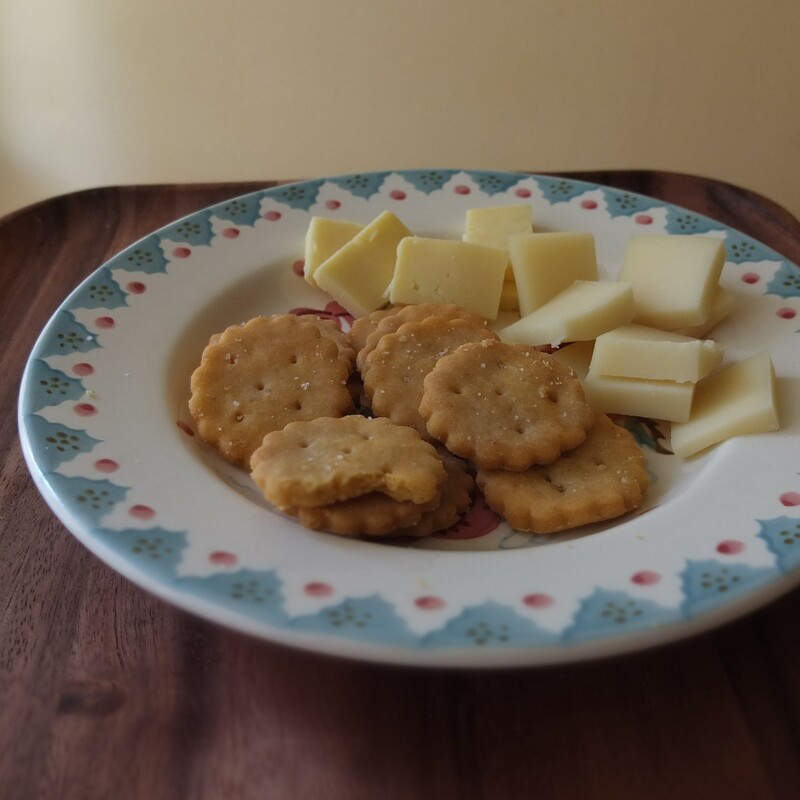 I adapted the Ritz-style gluten free crackers found on the gluten free on a shoestring website. In a cool kitchen you can use their method of grating butter into the flour. Or mix everything in a food processor but quickly, leaving very little lumps of butter which seem to promote flakiness. I like the ‘rubbing in’ method (see the little video). Work the pastry lightly to avoid hard biscuits. Make the dough: 10-15 mins work; resting about 2 hours in the fridge; Roll out and cut: 10-15 mins work; resting 1 hour in the fridge (optional). Bake: 9-12 mins. 60ml/g to 90ml/g (1/4 cup + 1 or 2 tsp) cold mineral water. 68g worked well with my flour and humid Barcelona atmosphere. Whisk the dry ingredients together in a medium-sized bowl. Rub in the butter with the tips of your fingers until the mixture is the texture of fine breadcrumbs. Stir in the vegetable oil(s) with a rubber spatula until just combined. Don’t overwork. Stir in 1/4 cup cold water. The mixture will look pasty and glooey. Stir a little more until the mixture comes together in a soft ball of dough. Knead lightly. Add more water if needed. Don’t overwork. Resist adding more flour – you don’t want a very dry dough! Wrap the ball of dough in plastic film. Chill the dough 2 hours or more in the fridge until firm. 2 HOURS OR MORE LATER. Cut the dough in half (cover half in plastic film and return to the fridge). Leave at room temperature until a firm consistency that can be rolled out between 2 sheets of lightly floured baking paper. If the pastry is sticky peel off the paper on top, sprinkle a little flour on the pastry then put the paper back on. Turn over and repeat on the other side. Roll the pastry thinner again. If necessary repeat step 9 regularly so the dough doesn’t stick to the paper. Roll until the pastry is 2.5mm to 3mm thick. Rolling thinner gives you crispier crackers. 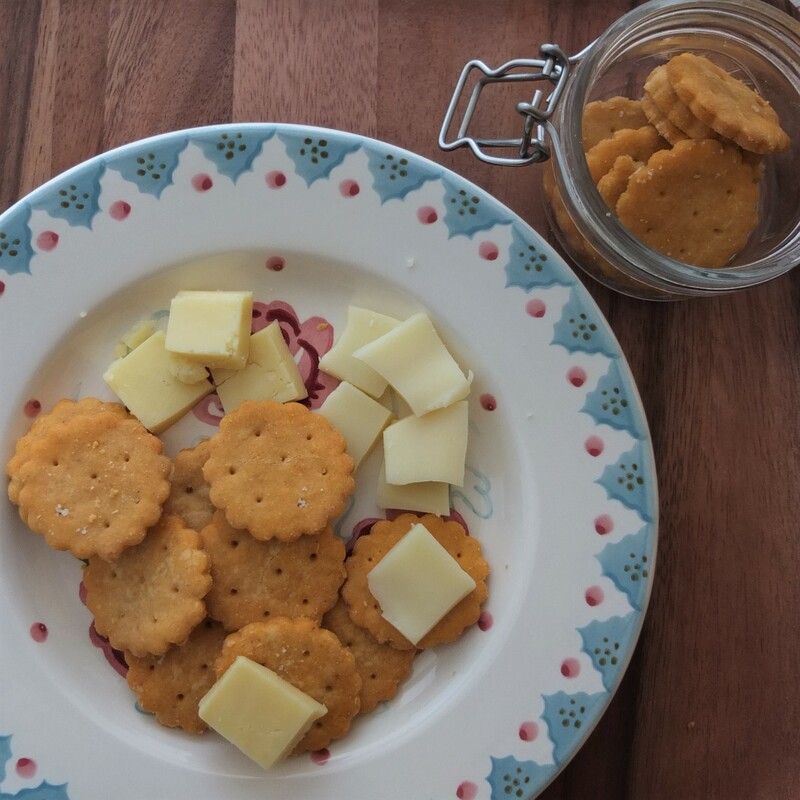 Use the cutter or glass to cut out as many crackers as possible. With a cake server or spatula carefully lift the crackers off the counter and place on the baking tray, with a little space between (they don’t really expand). Shape leftover pastry in a ball and roll out to make more crackers. Repeat till used up. Make 6 or 7 holes in each cracker with a skewer or cake tester. Bake 9 – 12 minutes (depending on the thickness of your crackers and the dough). They should just start to be light golden. When almost ready melt the butter in a small saucepan. 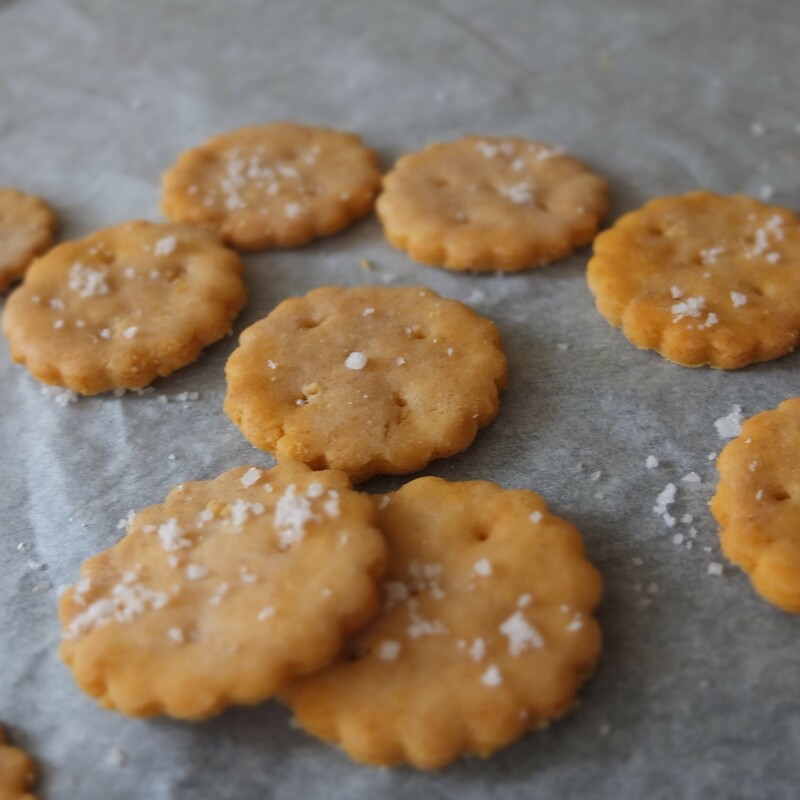 As soon as the crackers are out brush with melted butter and sprinkle with fine sea salt or fleur de sel. Leave on the tray to continue crisping. They keep in a sealed jar or airtight tupperware up to a week or two (if hidden in some remote location). Still here in Paris with mum, gaining inspiration from the Michalak all-chocolate and autumn fruit baking courses I went on and all the wonderful cakes we’re ‘testing’ from French pâtisseries. We’re drinking detox herbal tea too. Ahem. 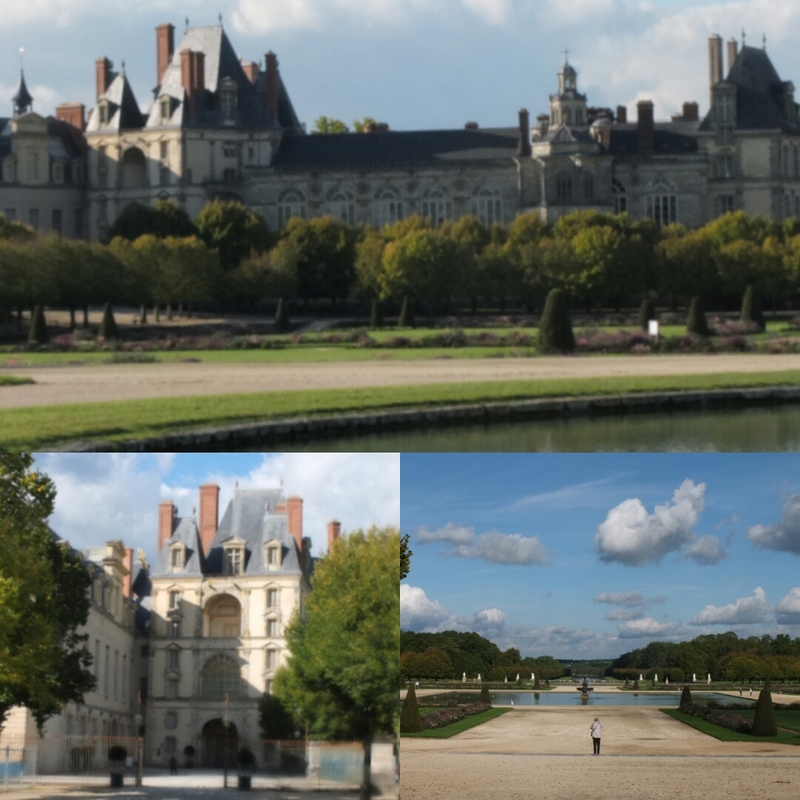 We just came back from a 2-day trip at Fontainebleau, 40 minutes from Paris on the train. We could easily have stayed longer. 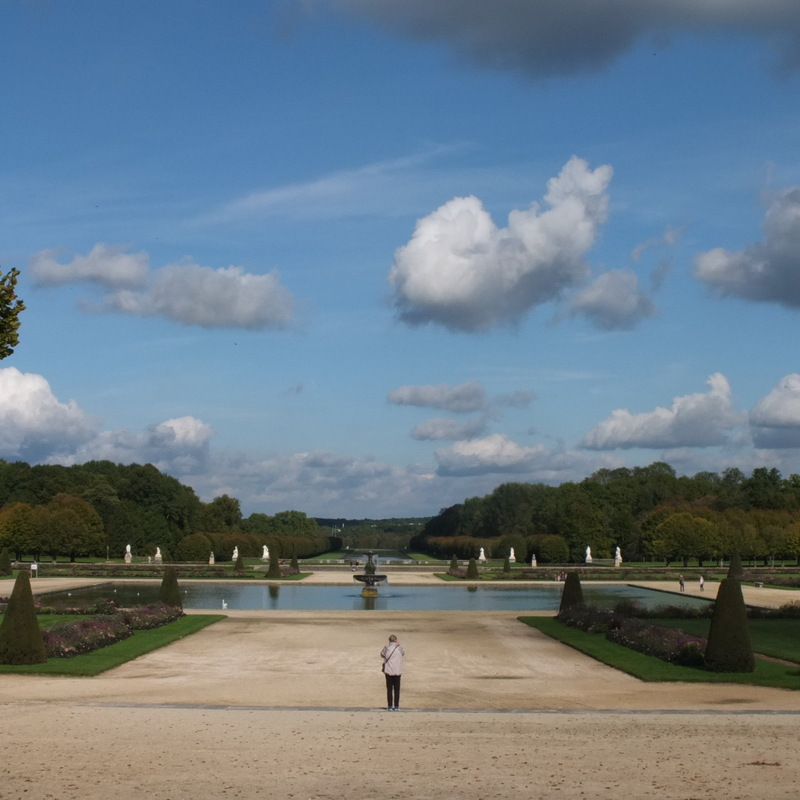 The famous castle and royal grounds are beautiful. This is perhaps the best (and only) surreal photo I’ve ever taken! 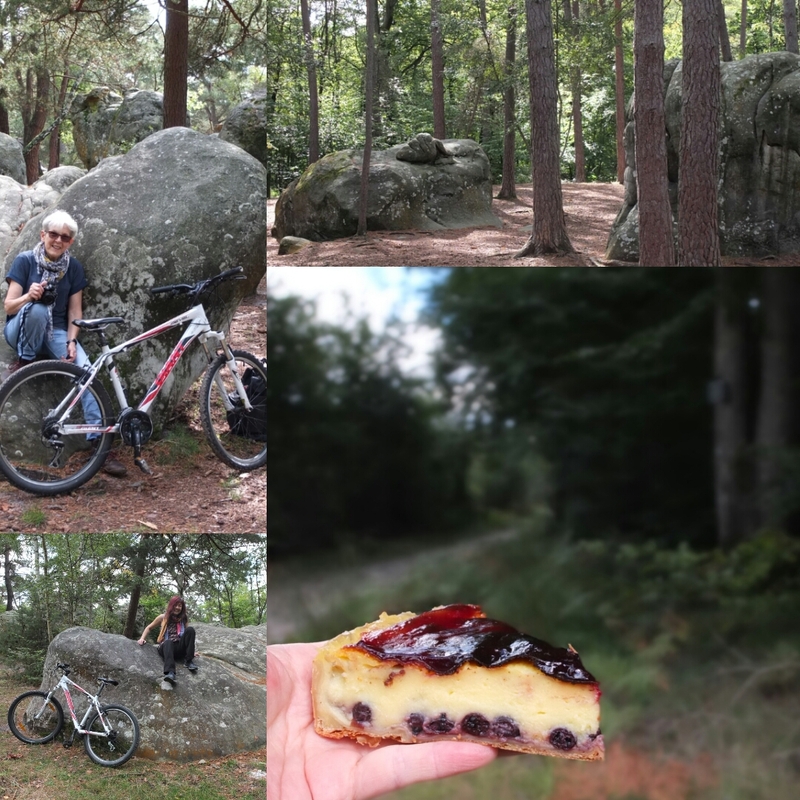 Then there’s the amazing Fontainebleau forest where you can cycle and boulder on small rocks. We cycled over 30 kilometres in 4 hours, getting lost then back on track thanks to our detailed map and the names of forest ‘streets’ and ‘junctions’ stuck on trees! My legs still ache a little but it was great fun. Notice my beloved slice of flan de cassis (blackcurrant flan) that kept me going. Flans are delicious and creamy yet solid enough to take on trips! 🙂 Found all over France, they originated in Paris. One day I’m going to make it. 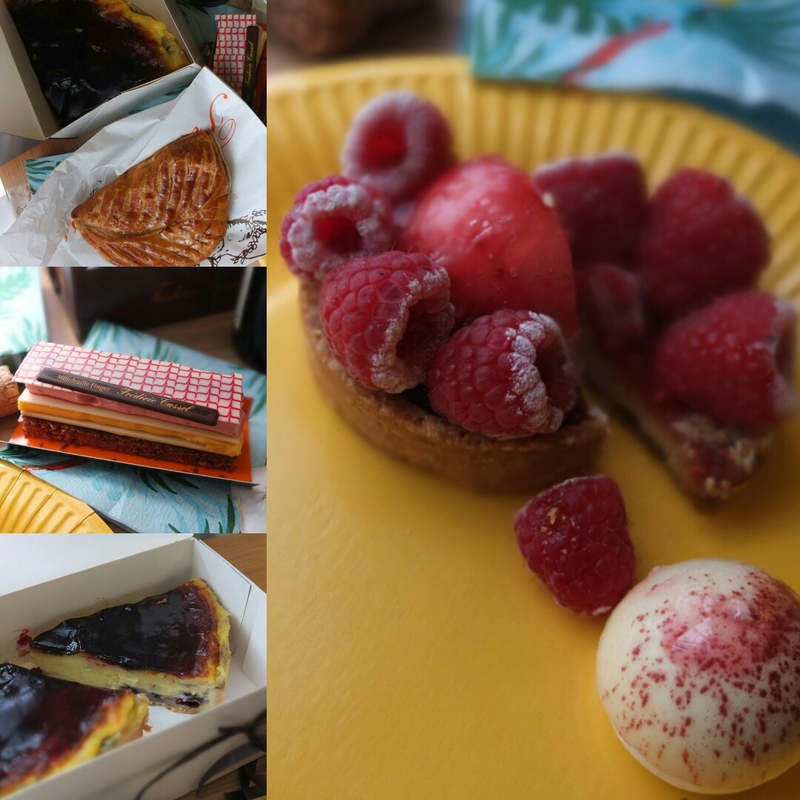 This one’s from Frederic Cassel, one of our favourite pâtisseries and a major reason for our stay in Fontainebleau. Call us crazy but look! Which cake would you eat or make? 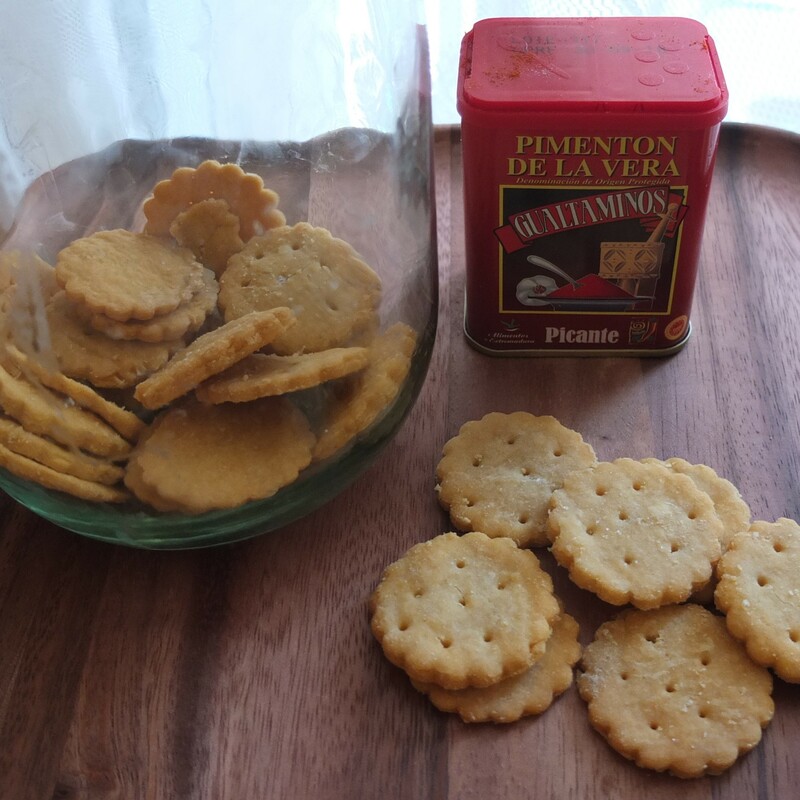 And while we dream of cakes can I offer you some simple glutenfree ritz-style crackers or petits biscuits salés apéro? Delicious with cheese: comté, gruyère, cheddar… I’ll rustle up a batch when I get home to go with my new stock of French cheese! 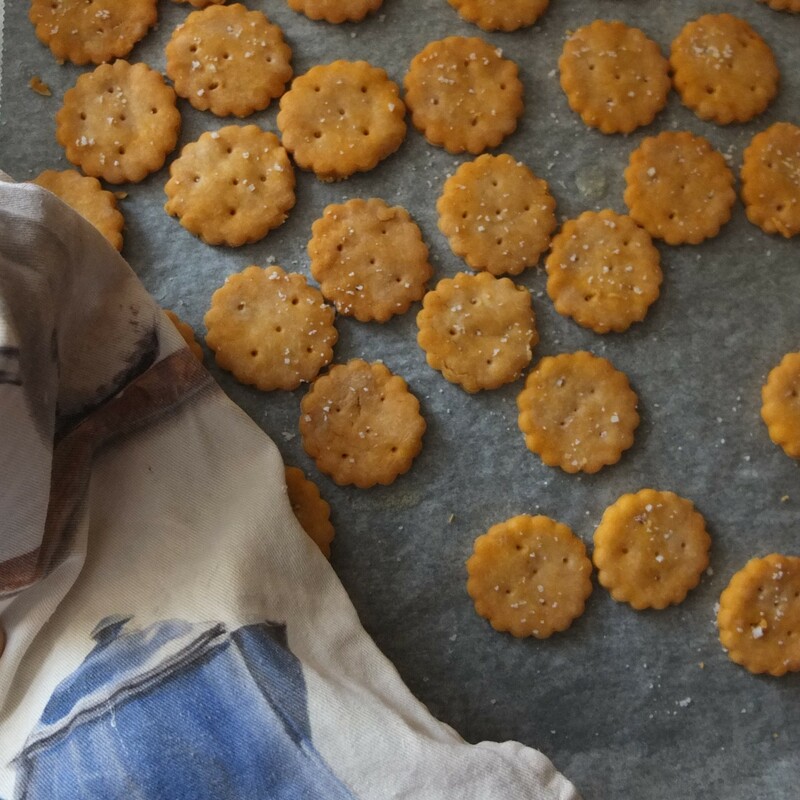 Have a homemade ritz-style cracker! P.S. More Paris cake news and photos coming soon(ish)!! A bientôt les amis! This is looking so good…Awesome share !! Those crackers are really tempting !